A cure for what ails you? As the majority of us continue to trudge through the cold, virus-heavy winter months, sniffling and sneezing, a warm ray of hope shines out from Japan. The study was conducted by researchers at Sapporo Medical University – the brewery also has its origins in the capital city of Hokkaido, Japan’s northernmost isle – and concluded that the compound, known as humulone, was effective in curbing the respiratory syncytial (RS) virus. The same virus also can cause bronchitis and pneumonia in children. “The RS virus can cause serious pneumonia and breathing difficulties for infants and toddlers, but no vaccination is available at the moment to contain it,” Jun Fuchimoto, a researcher from the company, told AFP. The compound also relieves inflammation caused by infection from the virus, the researchers found. But before you crack open a can of Sapporo in celebration – or perhaps self-medication – you should know there’s a catch. 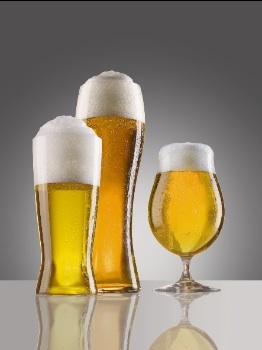 The chemical isn’t present in beer in very significant quantities, meaning that in order to have any real effect, the afflicted would have to drink around 30 cans of beer to gain any real benefit. And clearly the calorific and intoxication consequences would outweigh the benefits of the dose. The researchers now say it’s a case of using this discovery to isolate the compound and use it as a health-giving additive to other foodstuffs or beverages. Thank you! I didn’t need another reason to drink a beer. But, you gave me a great one. I feel a cold coming on now!